Easy care Hebe plants come in two main types and these are defined by the foliage. Some have lancelot leaves, and these vary from short to long. Others have very small leaves, flattened and almost scale like and these are called Whipcord Hebes. A good example a Whipcord variety is Hebe ‘Emerald Green’. 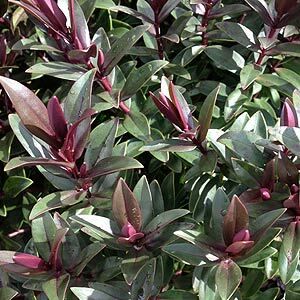 This foliage variety makes Hebe plants interesting to landscapers as they can be used to add texture as well as colour to the garden. It is the flowers that are the main attraction to most gardeners, however the choice of foliage type can determine how you prune this group of very useful plants from New Zealand. The species themselves vary greatly in goeth habit. Some are very low growing reaching less than 20cm in height. 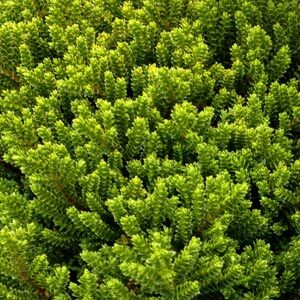 Many are small shrubs to around 1m, while others can reach 2m plus in height. Hebes also offer the gardener variety in terms of flower colour, from white through pinks and red with a few mauve to blue flowering types as well. Foliage colour varies from a deep emerald green to green tinged with red and a few variegated forms as well. Although these are an easy care plant, Hebe plants will benefit from a little care, good soil and occasional pruning. Although they are tolerant of a wide range of soils and climates they will perform best given the following conditions. Position – Full sun to some light shade. Most species do nor per form well in deep shade. Fertiliser – A yearly application of a general purpose slow release type fertiliser in winter is usually adequate. Pruning – Best tip pruned regularly to maintain a bushy compact habit. Prune after flowering.